Recently I was preparing for my fourth visit to Venice, Italy and the surrounding region of the Veneto. Always looking for new things to do while on vacation, I came upon the Il Burchiello river cruise along the Brenta River between Venice and Padua. This day cruise promised stops at three of the enchanting Venetian Villas along the river—all ones I had not yet managed to visit otherwise. Reviews of the cruise seemed somewhat mixed, but after going over the details with my sweetie (and some very helpful and swift communication with the cruse operators via Facebook) I decided to book our tickets. I'm so glad we did as it ended up being a very unique and memorable experience for our trip. Here I will share some more details on our day trip as well as the villas we visited during our cruise. Photo above: Riding on Il Burchiello up the Brenta River. All photos on this page are by the author, sockii, unless provided by Amazon. The Il Burchiello operates between Venice and Padua every year, between March and October. The main full-day route alternates in direction by day (ie, Venice to Padua one day, Padua to Venice the next) with possible stops along the way at Fusina, Malcontenta, Oriago, Mira, Dolo and Stra for those who wish to book shorter/half-day excursions instead. Along the route the boat stops for touristic visits to three Venetian villas of historical interest, as well as an optional lunch at a restaurant in Oragio. You also get to experience traveling past nine swiveling bridges and five locks, which keep sailing smooth despite the 10 meter difference in height between Venice and Padua. For those who are traveling around the Veneto and planning on staying overnight at the end of the journey, there is luggage storage available on the boat as well as your basic travel necessities (restrooms, a bar with snacks, outdoor and indoor seating.) The tour and all visits in the villas are offered in Italian, English, German and French and admission to the villas is included in the booking fee. As of 2018 the price for the full day cruise was 99 Euro per person, with the optional lunch being 29 Euros. Further information including the daily schedule, current prices and booking instructions can be found on the official Il Burchiello website: http://www.ilburchiello.it . We began our day trip at the pick-up location in Venice, at the San Zaccaria “A” vaporetto stop. We were to arrive at least 10 minutes before the 9am departure time and it was a pleasant walk to get there through Piazza San Marco so early in the morning, before the tourist hordes and day-trippers to Venice descended. Our guide was quick to check everyone in, find out our preferred language, and verify our lunch reservation if we'd made one. There seemed to be about 30-35 people on board by the time we departed, taking up no more than about half of the upper deck seats. It seemed we would be blessed with a sunny, good weather day, perfect for experiencing the cruise and the sights we were excited to see. An abandoned island in the lagoon as we departed Venice for the mainland. Our journey took us along the Giudecca canal and then into the Venetian lagoon, where we passed several small abandoned islands. We headed toward the mainland town of Fusina, at which point the boat began its journey up the Brenta river. The initial scenery was a mixture of flat farmland, small homes and some moderate industrial development, as we traveled slowly on toward Malcontenta and our first stop, Villa Foscari La Malcontenta. We arrived there at approximately 10:30 am. Villa Foscari, built between 1558-1560, is notable as it was designed by the important and extremely influential Italian architect Andrea Palladio. The strong geometry and classical design are trademarks of Palladio's style, which can be found all throughout the Veneto region. The villa was commissioned by the brothers Nicolo and Luigi Foscari—members of the important Foscari family that produced the Venetian doge Francesco Foscari. The nickname "La Malcontenta" was given to the villa allegedly because the wife of one of the Foscari brothers was "locked up" there for not living up to her "conjugal duties". We were given a fair amount of time to explore the open rooms of the villa as well as the outside grounds (and gift shop) before re-boarding the boat to continue our adventure. While photos are not allowed inside the villa we were able to take however many we wished outside. Italian-style gardens at the villa. When we first docked at Malcontenta, our guide notified us that another group of approximately 35 more people would be joining our cruise at this time. This seemed to be one large tour group from France. Once they did join us, seating on the top deck was now basically full with a few people choosing to sit inside. It was a bit cramped, but not necessarily unpleasant. As we traveled on toward Oragio, the scenery became more and more attractive, going through charming small river towns and beginning to see other villas along the way. Our next stop at just a little after noon would be for lunch at the restaurant named, unsurprisingly, Il Burchiello (though we are told they are not associated with the boat operators). I confess I did not necessarily have high expectations for lunch—quite often I find large catered meals to be disappointing or at least quite bland and generic. But I was certainly in for a lovely surprise! We were seated efficiently by name, where we found cards marking which meal we had chosen (meat, fish, or vegetarian), a bottle of wine, and our first courses already plated. I had chosen the fish menu, my sweetie the meat, so that we could sample both. Swordfish or beef carpaccio was first, followed by a pasta course (speck and zucchini or mixed seafood), then green salad. This would have quite honestly been more than enough yet there was still a secondi of either grilled beef or fish, and ice cream and fruit for dessert! Throughout the meal service was efficient and only rushed a bit for dessert (as we were one of the last tables served.) All in all it was an excellent meal and, in my opinion, well worth the 29 Euro fee per person. We were back on the boat and at the next villa by 1:40 in the afternoon. 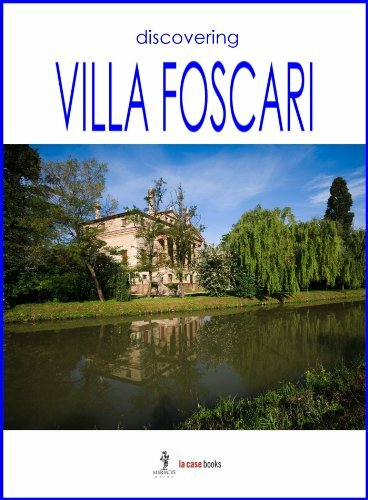 The Villa Wildmann—Foscari is an 18th century palace, designed by a Venetian architect. 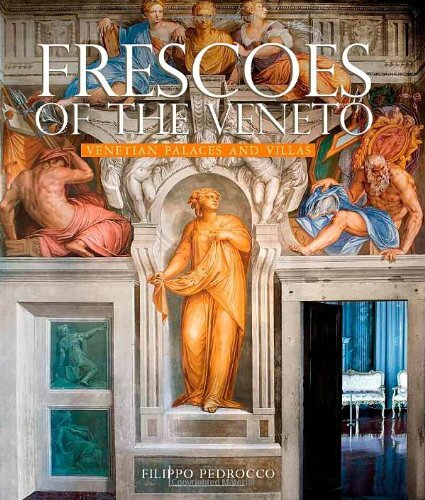 The colorful, interior frescoes were painted mainly by Giuseppe Angeli and Gerolamo Mengozzi Colonna. French rococo in style, this villa is small in size but quite colorful and charming. We spent a little over a half-hour there, which was actually sufficient to see the murals and get a taste for the different style and architecture of this more "modern" villa compared to La Malcontenta. The next leg of our journey, between Mira and Stra, would be the longest—about 2 hours. However it was also the most interesting from a sight-seeing point of view as we passed many more Venetian villas along the waterfront. It might be surprising to some to note that many of those villas are actually abandoned, empty, and/or for sale today! Due to their size and the cost involved in restoring and maintaining them, not many can afford to take on the responsibility. Still, it is interesting to pass by them and perhaps dream of what it could be like to buy and live in an old Venetian villa...perhaps if I win the lottery some day? ...and some local wildlife, too! Without question, this early 18th century, late-Baroque rural palace was the most impressive of the three villas we visited. Even coming upon it by the river, one couldn't help but be wowed by its size and grandeur. 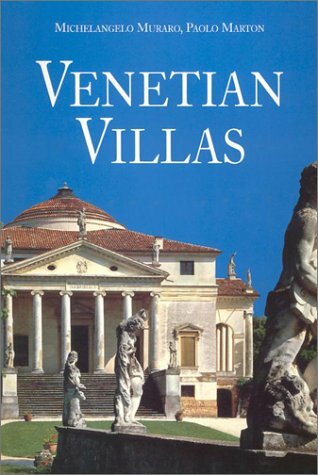 The villa's construction began for Alvise Pisani, who would become the Venetian doge in 1735. The design of the main building would be completed by Francesco Maria Preti, and when completed would consist of 114 rooms, in honor of Pisani being the 114th doge of Venice. However by 1807 the Pisani family would be in great debt and sold the palace to Napoleon. It later became property of the House of Habsburg and in 1934 was partially restored to host the first meeting of Adolf Hitler and Benito Mussolini—the room where this meeting took place is noted during the tour of the interior. Some of the most notable features of the villa—which today serves as a National Museum—are the frescoed ballroom painted by Giovanni Battista Tiepolo and the false facade and stables which create an optical illusion that reminded me of the (real) garden and water design of the Royal Palace of Caserta. The falsa facade and stables...much smaller than they look from a distance. After hurrying back to the boat, we departed quickly and were told it would be about another 90 minutes until we finished our journey in Padua. 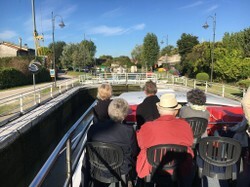 There was not a great deal to see along this stretch, as we entered what was actually an artificial canal, and were very low to ground level until passing through a final lock. There were several extremely low bridges to pass under—one which required everyone to go downstairs, in fact! Once we made it to Padua we did see some old city walls and ruins of interest along the river. Otherwise I can understand why some recommend getting off the boat in Stra, after visiting Villa Pisani, and taking one of the ACTV buses back to Venice directly. Once we docked in Padua it was about a 20 minute walk to the train station, along some rather busy roadways, though we did pass through a pleasant park area where they had some "pop-up" bars set up selling various themed cocktails. If we didn't have to get back to Venice it would have been nice to linger for a while. However we managed to catch an 8pm train and were back to the Santa Lucia station by 8:30. A Star Wars themed bar in the park in Padua! So, did we think the cruise was worth both the cost and our time on vacation? Absolutely! We both found it a relaxing as well as informative and interesting way to spend the day seeing parts of the Veneto region we have not really explored before, and in a way that echoed how the Venetians would have traveled to and from the villas themselves in the past while on holiday. The three villas we visited were all interesting and unique and we were given mostly enough time to get a taste for them and determine if we would want to revisit again in the future. (Villa Pisani will definitely be a return visit for us in the future, I believe, when we can have more time to explore it fully.) It also made me think that some of these smaller towns, like Mira and Dolo, could be interesting to spend a night or two on another trip to the Veneto. Would I recommend Il Burchiello to other travelers? Absolutely! Though perhaps not if it is your first trip to Venice and you have limited time to spend in the city. It does take up an entire vacation day (unless you do one of the half-day options) and with so much to see in Venice proper, I feel it is better suited to a repeat visitor like myself or someone with more than a week's time to spend in Venice. That they do offer luggage service, for those who are staying on in either Venice or Padua, could make it an interesting way to travel between the two cities if you are exploring both on your vacation. Villa Foscari - La Malcontenta. Official Website. Villa Pisani Museo Nazionale. Official Website. Turismo Provincia di Padova. Official touristic website for the city of Padova/Padua. I would like to see Assisi too. Padua is lovely—we only spent a day there once before on a previous trip but I do want to go back for a longer visit in the future. We got to see St. Anthony's Basilica that time, along with the Scrovegni Chapel and a few other things, but really need to go back to explore it more. The cruise was very relaxing and interesting, something quite different from the usual experiences in Venice. A beautiful post. The photos are stunning. My dad was devoted to the Franciscans and St Antony of Padua was a favourite of his. My oldest brother Frank and my second brother Antony are named after Franciscan saints. I would love to see Padua and commented in as much to my beloved whilst in Italy last week. The river cruise looks amazing and well worth it.